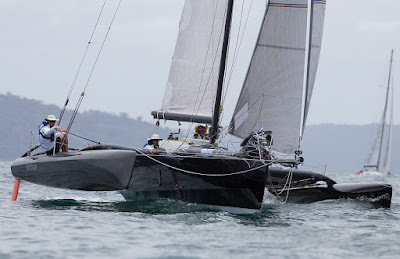 Karl Kwok’s Maxi yacht Beau Geste was 33 miles from the finish line at 0600hrs this morning on day two of the Club Marine Pittwater to Coffs Yacht Race, with a calculated ETA of 0800hrs, just half an hour outside the longstanding race record. They are still making excellent progress at 18 knots of boat speed abeam of Nambucca Heads but ahead of the live readings at Coffs Harbour airport show only eight knots of WSW wind, which will slow their final approach to the finish line and the sound of the cannon fire. The 80-footer is likely to cross the finish line just inside Coffs Harbour between 0830 and 0900hrs this morning and the public is invited to welcome them in from the excellent breakwater vantage point, then come to waterfront to greet the friendly international team. 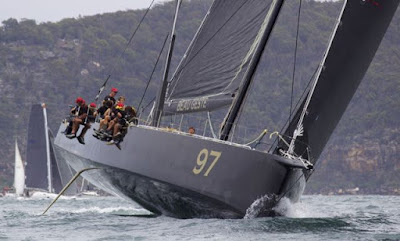 Robert Oatley’s Wild Oats IX, skippered by Mark Richards, set the record of 18hrs 29min 14sec back in 2003 and it remains one of the toughest Australian ocean race records to crack. 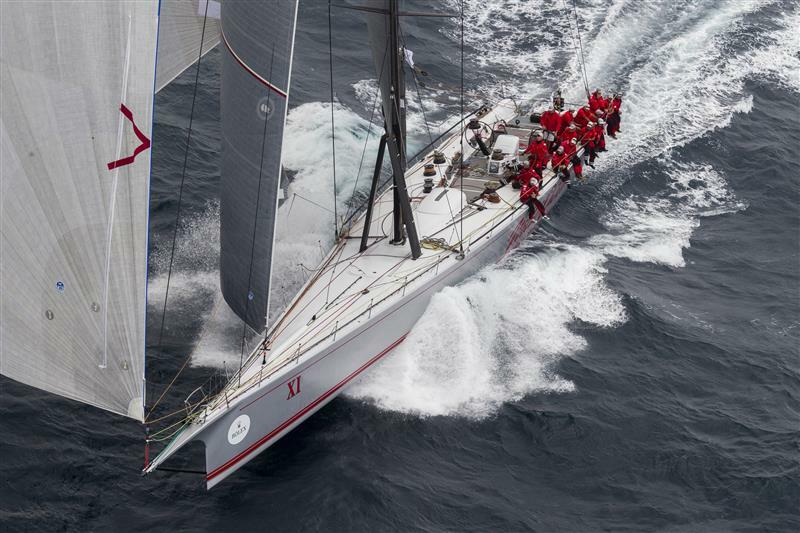 Beau Geste needed to maintain an average speed of 12.2 knots over the 226 nautical miles to set a new fastest time. From yesterday’s 1:00 pm start off Palm Beach headland their average speed has been 11.7 knots with the sou’east pressure coming and going. Shaun Carroll’s speedy trimaran Morticia is 30 nautical miles behind Beau Geste and ahead of the two catamarans, Mojo and Top Gun. 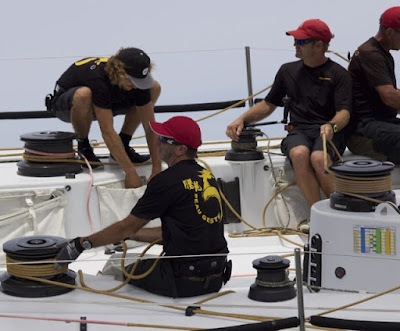 Darren Drew’s Crowther 50 Top Gun came to a sudden halt at 2130hrs last night when fish traps became tangled around her port dagger board and rudder off Seal Rocks. The crew were able to free themselves and continue on. 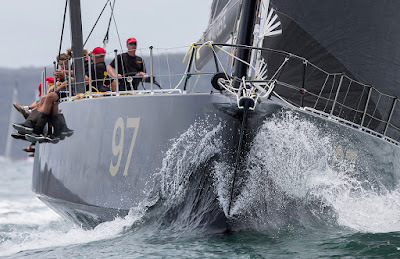 Overnight Peter Mayo’s Sydney 38 Austral retired due to rudder damage and is returning to Newcastle. That stuff is too personal to share with the interwebs - I'd share it with you, of course, but this stuff is "out there" in the public domain too and it just felt too...I just couldn't.